An experience in the land of art and craft at a pocket-friendly price. Hotel Sapphire Palace offers a comfortable stay at a pocket-friendly price. The vibrant interiors make it a classical hotel. 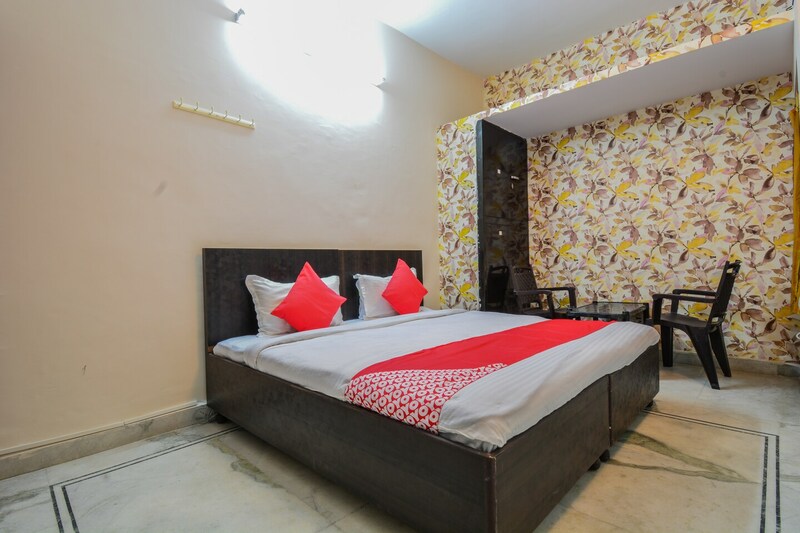 The rooms are clean, spacious and decorated with sober color tones and floral wall finishing stands out to make your stay warm and homely. The brights cushions add splash of colour to the room. The bathrooms are fresh and equipped with basic amenities, making the stay convenient for the guests. It also has a nice dining area where you can hang-out and eat different kinds of local delicacies from various nearby restaurants. The property is situated in the heart of Jaipur, close to the airport, making it convenient for outstation travelers.